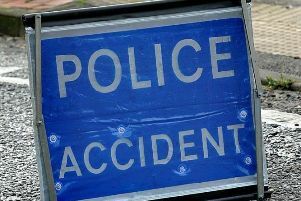 A 41-year-old motorcyclist from Bicester died in a collision in Gloucestershire on Saturday. A campaign to encourage people to protect their personal information has been launched by Thames Valley Police today. The ‘Not With My Name’ campaign, in partnership with the City of London Police, is targeting identity crime in communities, with one in four adults thought to be a victim. According to crime prevention service Cifas there were 1,482 cases of identity fraud reported in Buckinghamshire, 945 reported in Oxfordshire and 2,141 reported in Berkshire in 2014. Detective Inspector Gavin Tyrrell of Thames Valley Police’s Economic Crime Unit said: “Identity crime, the creation of a false identity or the misuse of a genuine identity, affects people as they are going about their day to day lives. “Normal things like online shopping can become a risk and identity crime deters vulnerable people and communities from taking part. “The proceeds of identity crime can be used to fund serious and organised crime. “That’s why it’s so vital members of the public can take simple steps to protect their personal information and safeguard against identity fraud. “Simple things like changing your social media settings or creating safe passwords all make a difference. To combat the rising threat of identity fraud, the ‘Not With My Name’ campaign will highlight advice to help people protect their personal information. This will include pointers on creating safe passwords, protecting internet devices, dealing with unsolicited phone calls and emails, and safely storing and disposing of mail. These messages will be shared across Thames Valley Police Facebook and Twitter and there will be a national Twitter chat, hosted by @actionfrauduk, at 5pm today. The campaign is being supported nationally by police forces and organisations including Action Fraud, Get Safe Online, Cifas, FFA UK, Age UK and Experian. City of London Police Commander Steve Head, who is the Police National Coordinator for Economic Crime, said: “To really get to grips with identity crime requires us all to come together and share advice on how to protect our personal information at home, in the workplace and while out in public places. For more identity fraud prevention advice visit the Thames Valley Police website. Individuals and businesses that have fallen victim to a fraud facilitated by an identity crime should report to Action Fraud on 0300 123 2040.